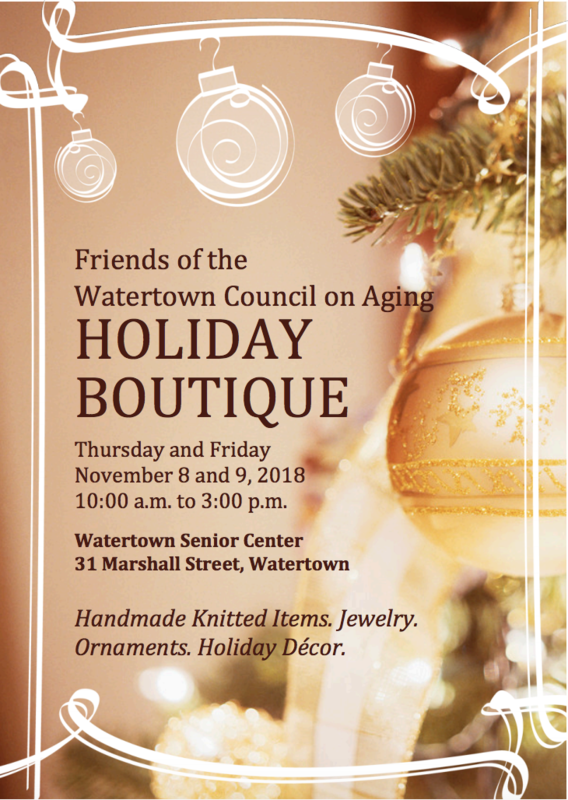 Get your holiday shopping started with the Friends of the Watertown Council on Aging’s Holiday Boutique. The sale features handmade knitted items, jewelry, ornaments and holiday décor. The Boutique will be held at the Watertown Senior Center, 31 Marshall St., on Thursday, Nov. 8 and Friday, Nov. 9 from 10 a.m. to 3 p.m.